Spend your Halloween weekend hiking and telling spooky stories by a warm fire! 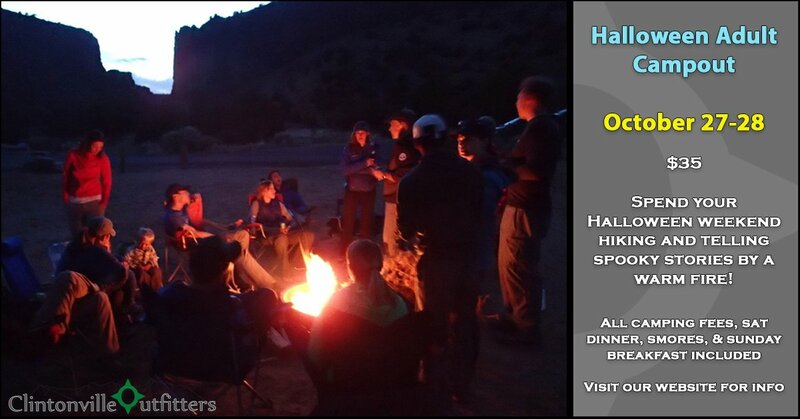 We will enjoy the fall colors, meet other outdoorsy people, perfect a s'more, and enjoy being in the great outdoors. A lot of planning and prep go into making these trips the best possible experience that you can have. Due to that, we have to implement a cancellation policy that will ensure costs are covered and all participants get the most out of the trip. There will be no refunds on cancellations less than a week before departure of the trip.